This fall our team completed a variety of barns, garages and equine facilities, but this traditional agricultural storage building in Crawley, WV was one of our favorites. 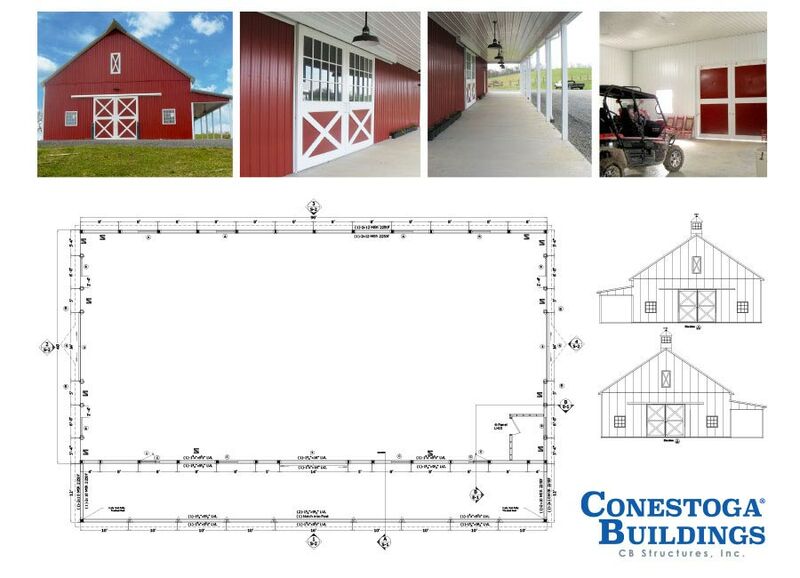 The project began when our clients realized their old barn could no longer accommodate their storage needs, they chose Conestoga Buildings to design a new building to provide much needed work space and storage for farm equipment and feed. As an experienced post frame builder in West Virginia, we handle every aspect of our projects from conception to completion. This allows us to make sure that every detail is finished correctly and it saves our clients time and money because no subcontractors are required. With a need for work space and storage, our clients wanted a large barn that was fully insulated and would complement their existing outbuildings. The end result was a traditional red barn with beautiful features, like deluxe cupolas with glass and a 12′ x 96′ lean-to with enhanced lighting. Our goal was to build a barn that would not just meet but exceed our client’s expectations. If you’re looking for a professional and affordable post frame builder, contact us today to talk about our pole building options. From barns to garages, retail stores and more, our team can help you design a building to meet your needs.